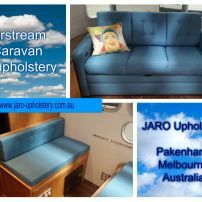 commented on "Airstream Caravan seats reupholstered by JARO in Pakenham Melbourne"
JARO can help you give your caravan a new modern look. JARO has an extensive fabric range you may select from. JARO can also make modifications where needed. 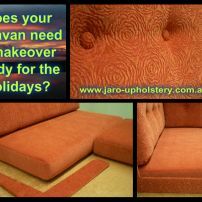 Feel free to send through photos for quoting purposes to enquiries@jaro-upholstery.com.au. 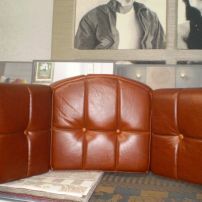 commented on "JARO upholstery can manufacture round shape and buttoned caravan seat backs." 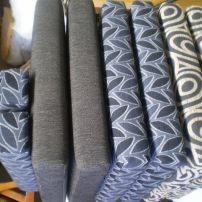 JARO upholstery can manufacture round shape and buttoned caravan seat backs. 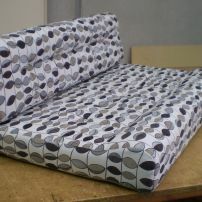 commented on "JARO Upholsterer makes caravan cushions for camper trailer/van & Caravan Manufacturers." 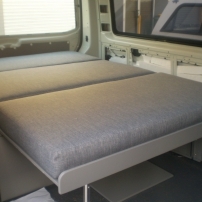 JARO Upholsterer makes caravan cushions for camper trailer/van & Caravan Manufacturers. We have a large range of heavy duty fabrics & vinyls suitable for vans and we can provide profile cut foams for your requirements. 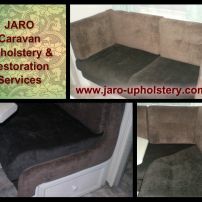 commented on "Caravan, Motor home, RV, Campervan Seat Repairs and Reupholstery, Melbourne"
JARO can custom make new or repair your caravan seats and beds. Fantastic Fabrics & Great Prices! commented on "Caravan Seat and Upholstery Specialists, servicing Melbourne and Gippsland areas." Caravan Seat and Upholstery Specialists, servicing Melbourne and Gippsland areas. commented on "New & Reupholstered Caravan, Campervan & Mobile Van Sofa Seat Covers & Bedboards, Melbourne areas"
commented on "Caravan Makeover! 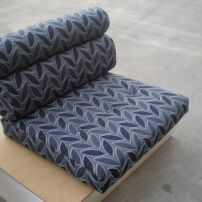 Seat Reupholstery or New Custom Made Seats & Bedboards available in Melbourne area"
A new look with stylish new fabric choices. Contact Jason on 0402 188238 for a free quote. 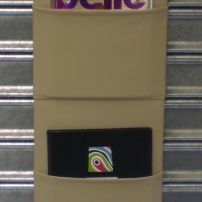 commented on "MELBOURNE & PAKENHAM - CARAVAN UPHOLSTERY - MAGAZINE RACK"
A long with all other caravan upholstery needs, JARO can design and manufacture magazine racks. 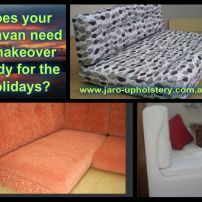 commented on "Melbourne & Pakenham Caravan Reupholstery by JARO Upholstery"
Another successful caravan make over. New caravan seats, curtains and scatters were made by JARO. commented on "Campervan Beds and Seating"
JARO made bed/seating cushions for this van that can be popped down for a bed or put up for seating.